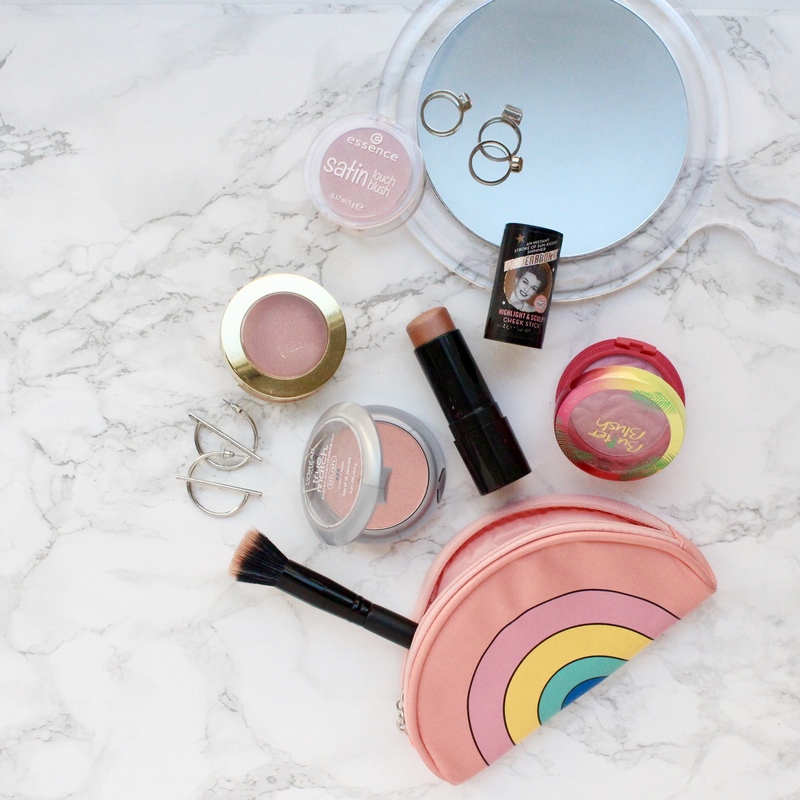 Heeeeeere we go : Beyouty Bureau Budget Beauty Bests!! Say that three times fast, geeeesh. I know it can be overwhelming to get ALL.THE.THINGS. First off, let me confirm, you do not need all the things. Secondly, let me save you some monies. I have compiled a list of my very favorite beauty products that fall into any budget, but do not sacrifice in performance or quality!! INNISFREE $8.99 : This cream formula blends out seamlessly, sits beautifully on the skin and dries down matte so that is LASTS through the day. I have never been more impressed with a budget friendly concealer than this one. 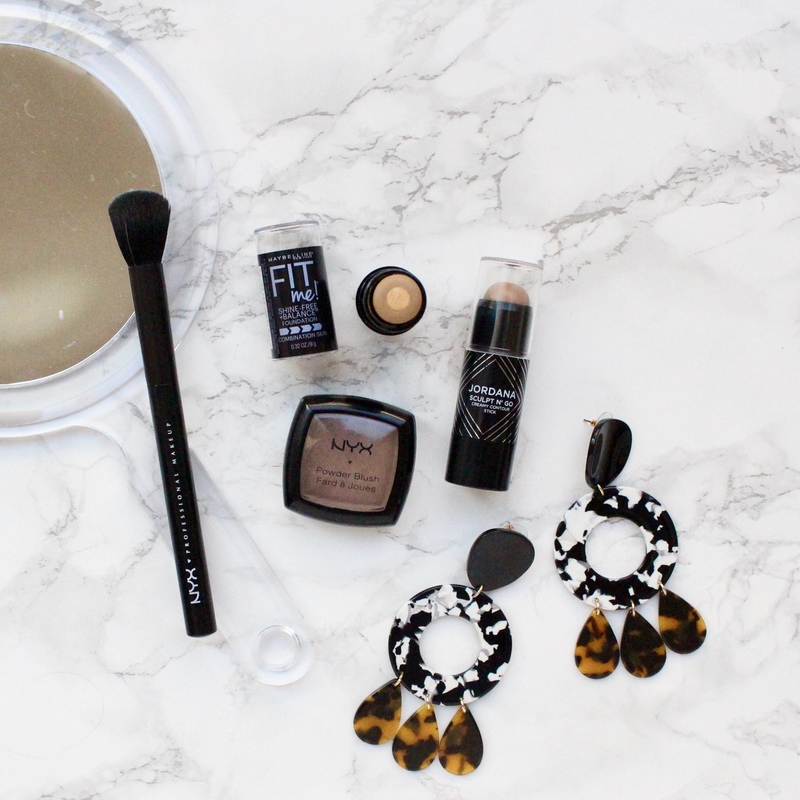 :: MAKEUP REVOLUTION $7.00 : I use shade C2 to brighten my under eyes, but their shade range is unreal – there is a shade for absolutely everyone! :: THE SAEM : This pink brightening complex is incredible for lightweight coverage that I prefer using on no-makeup days! CREAM CONTOUR : These add dimension to the face and blend out perfectly on the skin both with or without foundation! MAYBELLINE FIT ME $7.99: This is actually a foundation stick, but in the shade #330, I get the perfect day time contour :: JORDANA $17: This stick is INCREDIBLE for very fair babes that have a really hard time finding a neutral contour shade. It has the perfect grey undertone to create stunning shadows on the face without looking to heavy :: SOAP & GLORY $12 : I use this other contour stick as a blush/bronzer duo (in shade Wunderbronze) and love how fresh it looks on the cheeks! 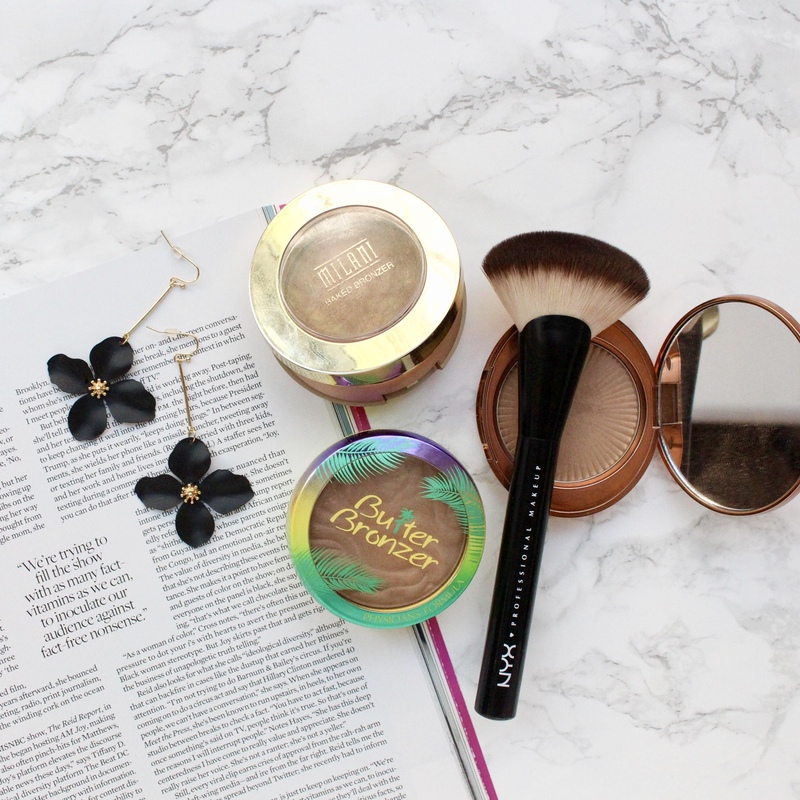 POWDER CONTOUR/BRONZER : These are each the perfect shade and are formulas that I reach for over my high end bronzers. All under $20!! MILANI $8.99 : This is a true bronzer (has a bit of shimmer, used to bring warmth to the face) and was recommended to me by Kim Kardashian’s makeup artist. So feels obvious that this is incredible :: PHYSCIANS FORMULA $14.99 : I looooove the scent of this bronzer and that it is a creamy matte formula perfect for creating cheekbones :: NYX $5 : This is actually a blush, but the shade is SO RIGHT for contour! BLUSH : Blush is my verrrrry favorite to purchase from the drugstore!! The colors and formula are just as good and for $2.99 they never let me down! ESSENCE : This blush is a MUST HAVE in any makeup collection – perfect coral shade, just $2.99!! :: MILANI $7.99 : I adore the shade ‘Luminoso’, but every shade is stunning on the skin :: LOREAL TRUE MATCH $11.99: This blush doesn’t look like much, but it is a staple for every skin tone – the perfect flush of pink – shade ‘Baby Blossom’:: PHYSICIANS FORMULA $12.99 : I adore the formula of these blushes – creamy and PIGMENTED! :: COVERGIRL $8 (not pictured) : This formula is hard to find now, but if you grab it from Amazon I know you will thank me later! 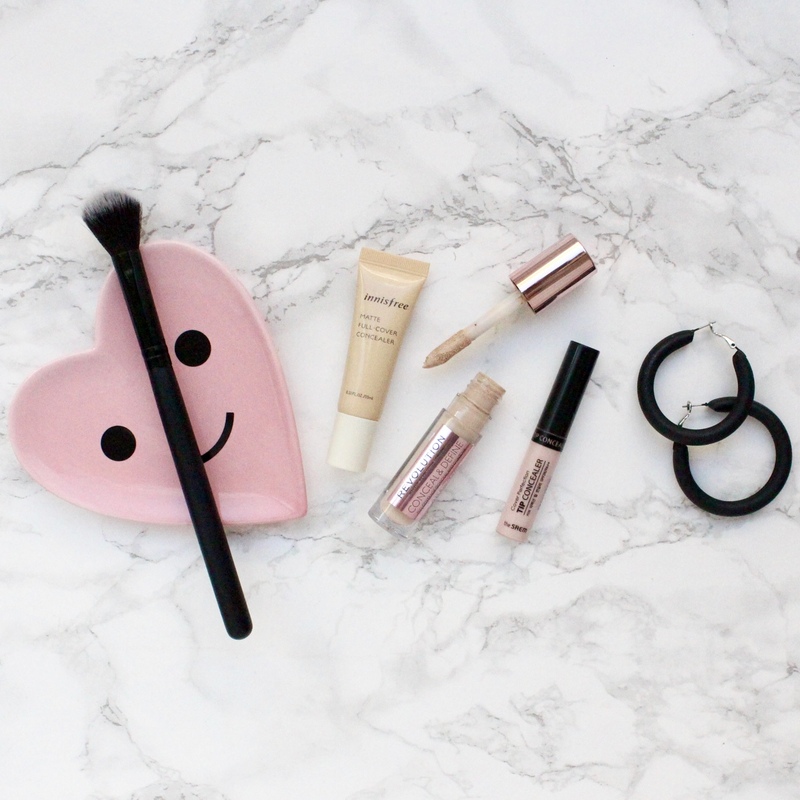 HIGHLIGHTERS : These can be tricky to find at the drugstore because I find that they can be a bit powdery and add texture to the skin, but here are my favorites that always deliver glowy skin! 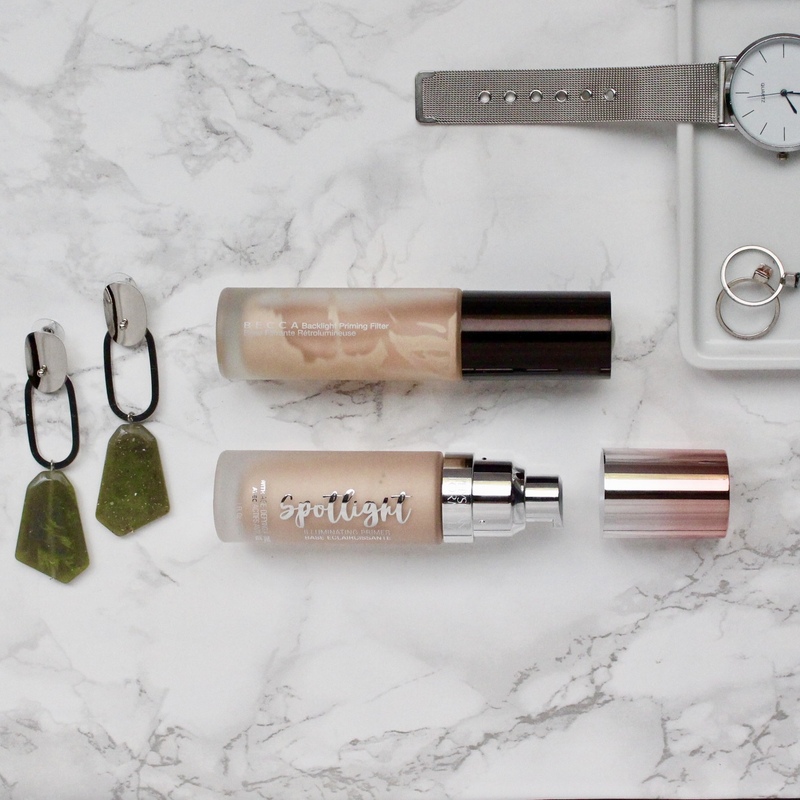 MAKEUP REVOLUTION $9 : I add these glow drops to my primer or moisturizer every.single.day. They add color and glow, while evening out my skin and adding lustre to even the most matte foundation. :: WET N’ WILD $4.99: Each shade in this range is incredible!! I have never been let down by this formula. :: ESSENSE $4.49 : Most budget friendly option is probably my most used for a subtle/natural highlight! :: SLEEK MAKEUP $14.99 : Four for the price of one, this little palette is the most wet looking of all the budget friendly options. I looooove this for a statement look! EYESHADOW : For the biggest bang for your buck, I highly, highly recommend grabbing a palette! Each of these you can snag for less than $20 after using your $3.50 off coupon from Ulta 🙌🏼 I have tagged ONE jelly shadow that I adore though, juuuuuuust in case your in the market! JUVIA’S PLACE $20+ : These are not only pigmented AF, but they’ve got a palette for every girl. There are so many options! From the most daring to the most neutral, you are guaranteed to get high quality mattes and shimmer in every palette! :: KARITY $29 : These are easy to snag off Amazon and are also long wearing and super duper pigmented. 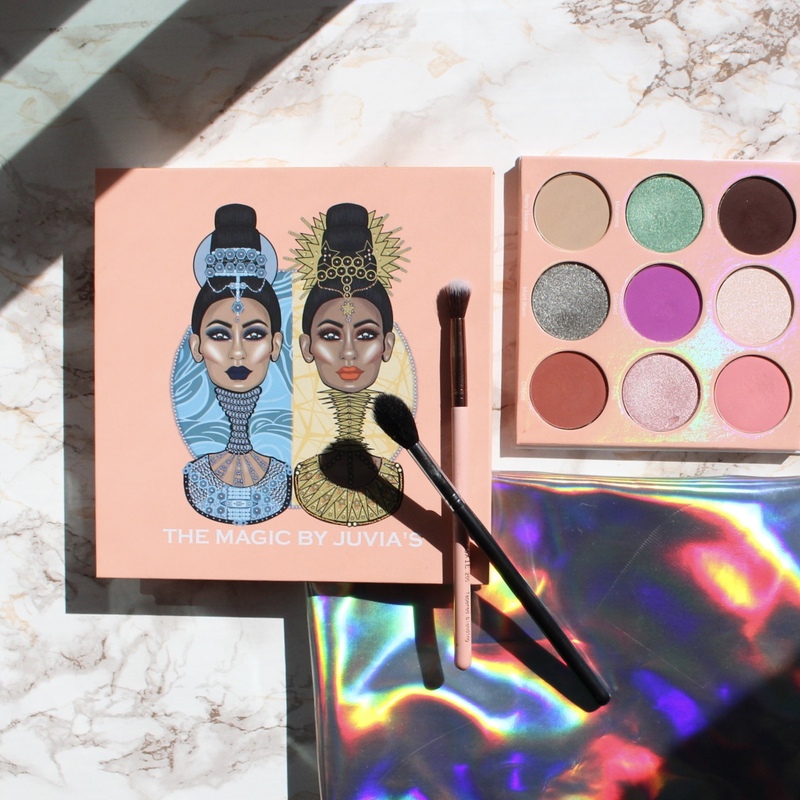 I have loved the Smokey palette for a long time, but I am going to get reaaaaaal good use out of the Matte palette too :: BH COSMETICS $16+ : My two favorites from this line are the Zodiac and the Carli Bybel – both are actually really wearable and I thing these are the most versatile of the bunch I have listed! :: COLOURPOP $6 : I loathe their eyeshadow palettes 😬, but their new Jelly Much shadows are like nothing I have ever used, like so dang good!! They go on smooth a creamy with a brush or the fingers and dry down to a powder that STAYS PUT. I bought most of the shades and I am very very impressed! EYELINER : I am kiiiiiiinda a diva when it comes to eyeliners – it must stay put and look pretty by the end of the day! And while those seems like obvious expectations, MOST LINERS just don’t deliver on those. These are the few cheaper options that I have found that uphold to my standards! MAYBELLINE $7.99 : I adore these metallic liners – they don’t layer well, so you have to be careful, but they are incredible for creating a quick statement on the eye! :: NYX $8.99 : The Epic Ink liner has been compared to the Kat Von D Tattoo Liner and while I still prefer the high end version, this option is really great! 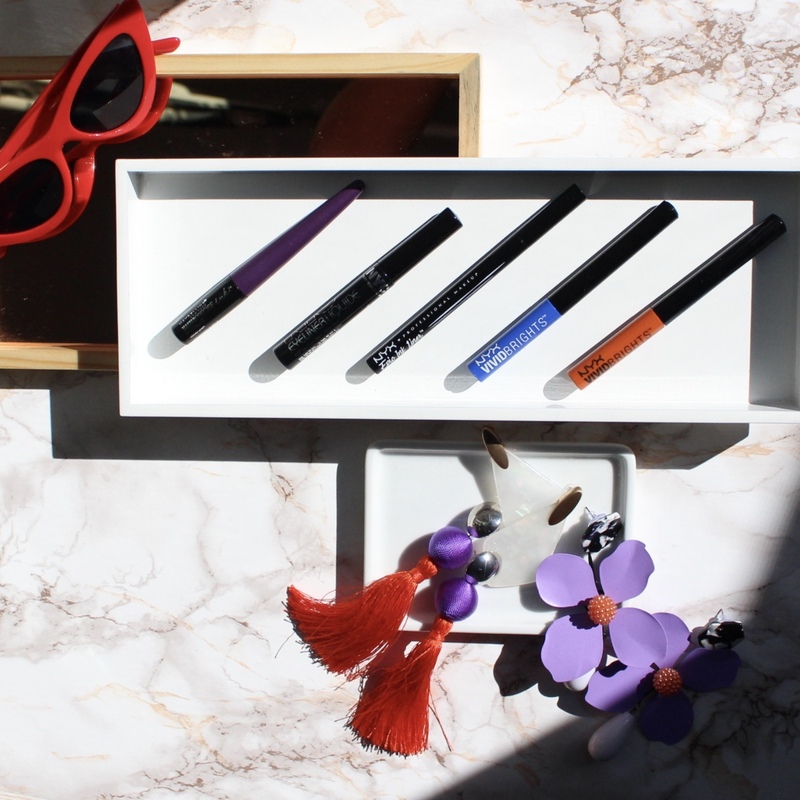 The Vivid Brights liners are INCREDIBLE – also a tad tricky to use, but if you were in small sections you can get the most vivid, bright and beautiful liner. MASCARA : I know that there are A LOT of mascara options and I can’t tell you I have tried them aaaaaaalllll, but trust and believe I have tried quite a few in my day. These three have come out of top because they give me volume and don’t end up under my eyes by the end of the day! EYEBROWS : Truth be told, I don’t love love love anything from the drugstore for my brows, BUT these are the best options I have found!! LIPS : There are so many great lip options from the drugstore and honestly some of my favorite formulas are budget friendly! I have compiled my favorite brands to use to save buck, but not skimp of quality, pigment or wear!! This list evolves as I try new things, but some of these have remained the same for yeaaaaaaars. 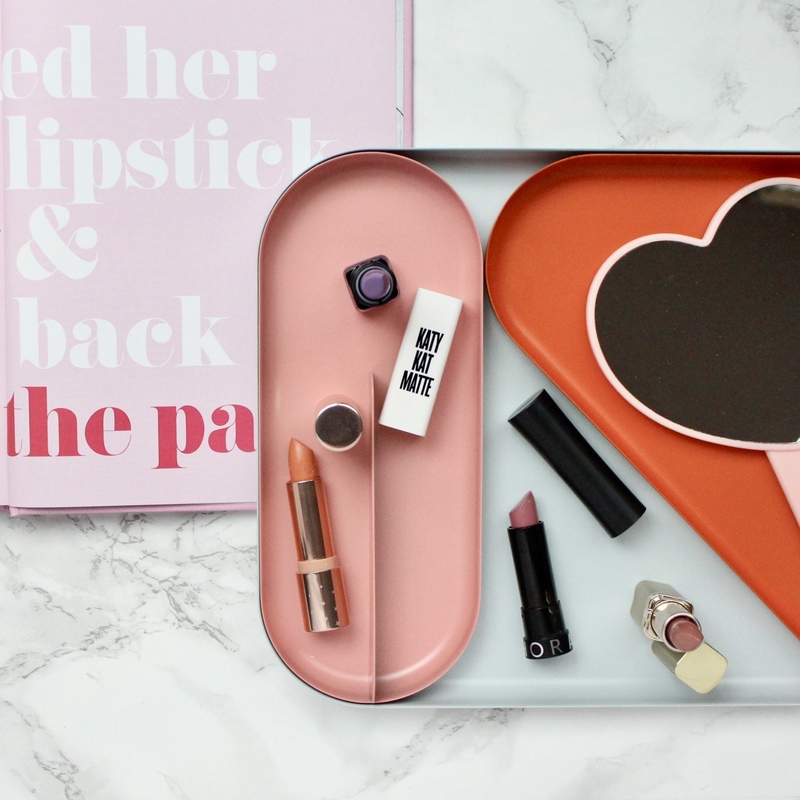 I will add products here as I discuss them and as my opinion changes – rest assured this list a beauty babes best friend!! Do you spy something you love? IT.IS.TIME. THE MOST requested/hyped/anticipated dupe for my one true love the Becca Cosmetics “Backlight Priming Filter” 🙌🏼🙌🏼🙌🏼 This one is braaaaaand spankin’ new to hustle and be the first to grab it!! The Physicians Formula “Spotlight Illuminating Primer” is not a dead-on dupe, but for $12.99 consider it WERKIN!! The staying power is the same, the glow is the same, but I DO find that it won’t block your oil. I do end up a lil’ shiny around my nose, but that is nothing I can’t reconcile with a little setting powder! Save yo’self $18 and snag this stunning primer fast!! 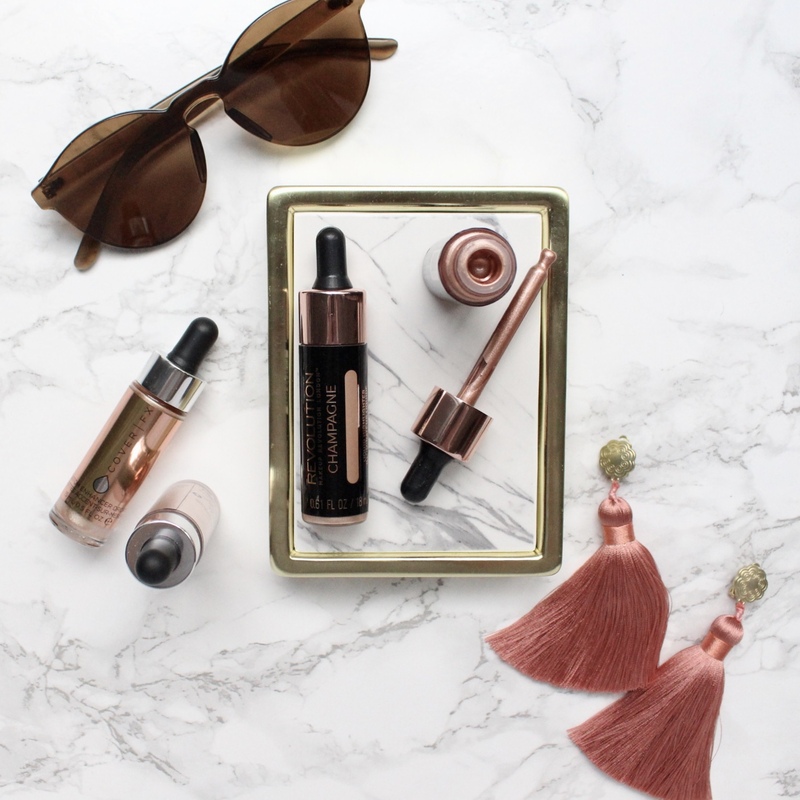 Today I bring you a dupe for my beloved glow-getter 👏🏼 I have used the CoverFx Custom Enhancer drops foreves & thought they were one of a kind and invested the $42 to add them to my collection. I tell you WHAT girl, the drugstore has ramped up their game and DELIVERED on this dupe. No longer can I justify spending $42 for a liquid highlighter. Enter Makeup Revolution Liquid Highlighter!! For just $9 I grabbed two shades from Ulta – hell it would be cheaper to grab ALL the colors in the range than buy another bottle from CoverFx. I looooove adding this product to my moisturizer for a fresh flawless glow or adding a few drops to my primer right before my foundation to keep my skin lookin’ reaaaaal dewy and bright! 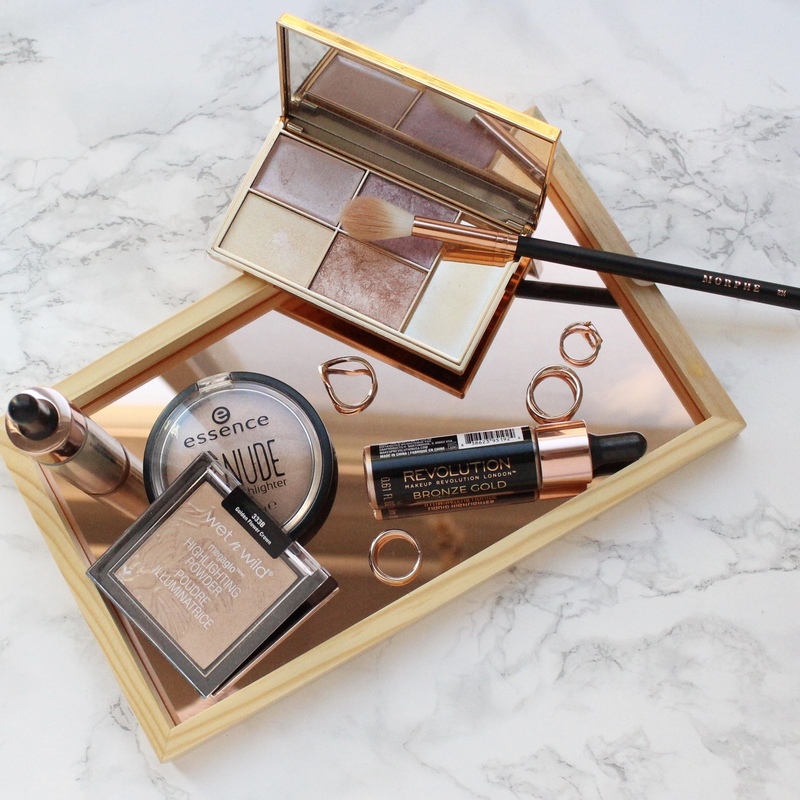 Have you tried this dupe?? I am obsessed & I hope you will be too.